Shakespeare once wrote the line “to be or not to be? That is the question,” and this famous line has been used in a number of sitcoms, talk shows, commercials, and other media venues we encounter on a daily basis. When it comes to the latest news on Amazon, however, the same question applies. Will the Amazon 3D smartphone exist at some point in the near future, or is it nothing more than a juicy rumor? The online digital goods seller made headlines some time ago when it was reported that Amazon wanted to produce a holographic, 3D smartphone. The Amazon 3D smartphone may not look the same as the LG Thrill 4G (known as the LG Optimus 3D elsewhere), but LG’s 3D experiment may give us some insight into what Amazon has in store for consumers. The latest news, however, shows that Amazon intends to produce a smartphone that is not as 3D as earlier reports claimed. Dubbed “Project Smith” by inside sources, the once-rumored 3D smartphone will not come with actual 3D technology – but will employ four front corner cameras (one rear camera, five total) that will shift the display angle according to the viewer’s perspective. 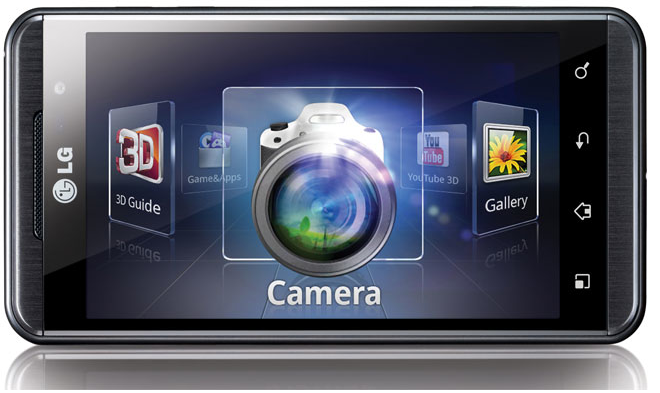 These four corner cameras will work together, along with the display angles and the impact of the light on the screen, to give a 3D impression. What Other Details Do We Know About the Amazon 3D Smartphone? The Amazon 3D smartphone will come with eye-tracking tech, seeing that the four front corner cameras must track your eye movement in order to turn the screen at various angles and create a 3D-like effect. Image recognition may be employed for real-time objects so that you can take a picture of something (say, a book); once the picture is taken, you are then sent to Amazon’s website to purchase the book in the photo. This would work similar to Samsung’s optical reader, where pictures of text taken by camera then lead to the website of the URL or subject matter involved in the photo. 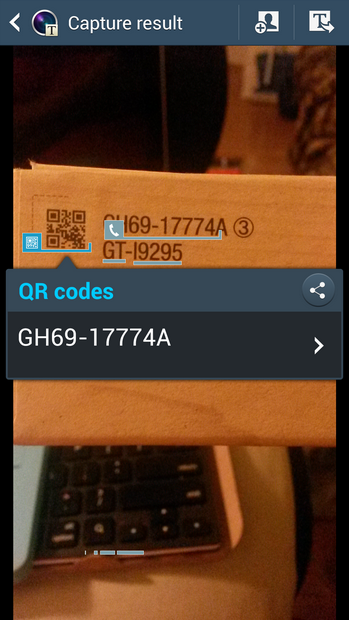 The QR code is for Samsung’s Galaxy S4 Active, known by its model number GT-I9295. As for Amazon’s Kindle OS, we believe it will be a modified Android OS (as usual) but come with some perks such as the visual 3D impression Amazon wants to create for its 3D smartphone. Last but not least, do not forget the claim of Amazon’s free smartphone that is also rumored to be another project in the “Alphabet Project” collection. While I’m sure we all love reading rumors, it’s time for Amazon to get crackin’ on these smartphones. I’ll take a 3D-like one, please.